“Ali vs. Inoki: The Forgotten Fight That Inspired Mixed Martial Arts and Launched Sports Entertainment” has been published by BenBella Books. On June 26, 1976, Muhammad Ali (1942-2016), possibly the most famous athlete in the world, flew to Japan to fight Antonio Inoki, Japan’s iconic pro wrestling champion, for the so-called “martial arts championship of the world.” Broadcast to an audience of 1.4 billion in 34 countries, the boxer versus grappler spectacle foreshadowed, and in many ways, led to the rise of mixed martial arts as a major sport. The contest was controversial, but the real action was behind the scenes, and various players in the underbelly of organized wrestling and boxing jockeyed for position. Egos, competing interests, and a general sense of apprehension over what would happen in the ring led to hodgepodge rules thrown together at the last minute. Bizarre plans to “save” Ali if the fight got out of hand were also concocted. One scheme — canceled at the last minute — involved having the boxer nicked with a razor blade, forcing the referee to stop the fight. 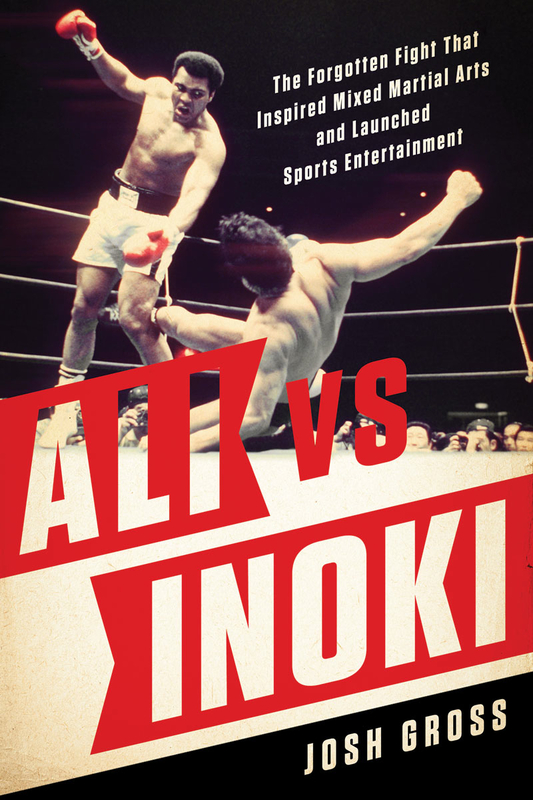 In “Ali vs. Inoki,” author Josh Gross gets inside Ali’s head leading up to the match by resurrecting pre-fight interviews that featured the boxer’s famous pro wrestling-influenced trash talk he first encountered in Los Angeles in the early 1960s. Gross also introduces readers to Inoki, now 73, little known in the United States but hugely influential in Japan. After the fight, Inoki became a household name throughout Asia, and his role in Japan’s popular Pride Fighting Championships helped shape modern mixed martial arts. The book can be ordered online at www.bellabooks.com or through Amazon, Barnes & Noble and other vendors.